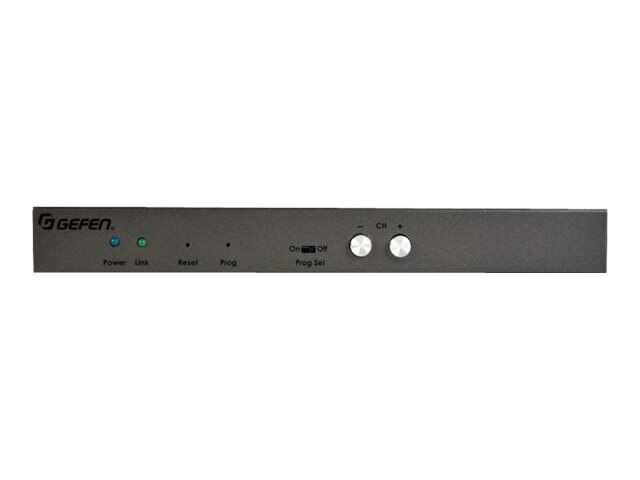 The Digital and Analog Audio over IP Receiver offers a much-needed audio-only option for background music, public announcements, and other applications where stand-alone audio needs to be distributed through the AV system. Audio input and output options include L/R Analog, Coaxial Digital, and Optical Digital. When using the digital inputs and outputs, 2-channel PCM and up to 5.1 channels of Bitstream can be distributed through the system. In addition to audio, RS-232 and 2-way IR can also be independently routed and distributed for source and amplifier control.